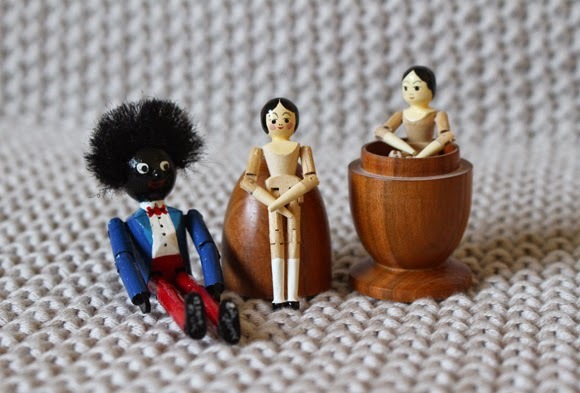 This little trio is the work of British craftsman Eric Horne who has been making collectors toys from his workshop in Topsham, Cornwall since 1971. I was lucky enough to receive the middle doll as a Christmas present this year, and the other two - the doll on the right and the Golly - belong to my Mum. 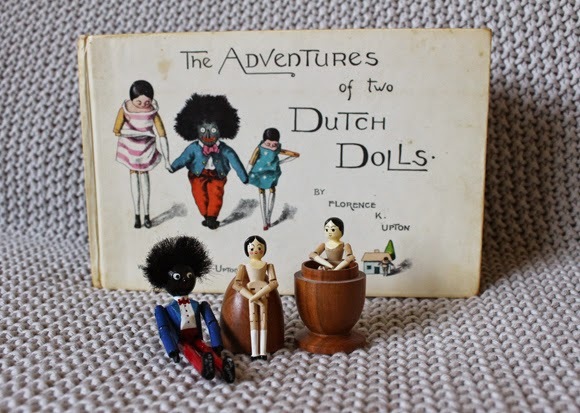 As regular readers will know, we are both avid collectors of antique wooden peg dolls - or Dutch Dolls as they are sometimes known - and although 'Gollies' are not exactly very politically correct, this is purely owned as a collectors item inspired by Florence Upton's book 'The Adventures of two Dutch Dolls' (pictured above behind the dolls). 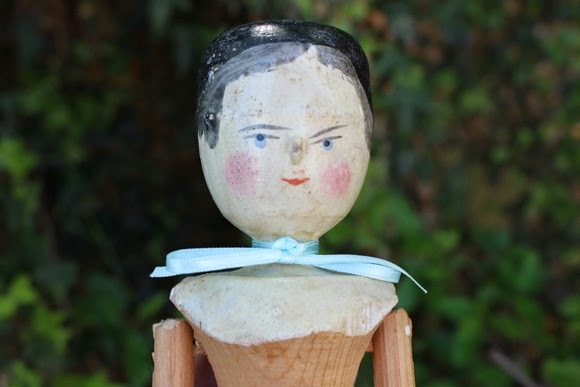 The tiny dolls feature movable joints and delicately painted faces and limbs. 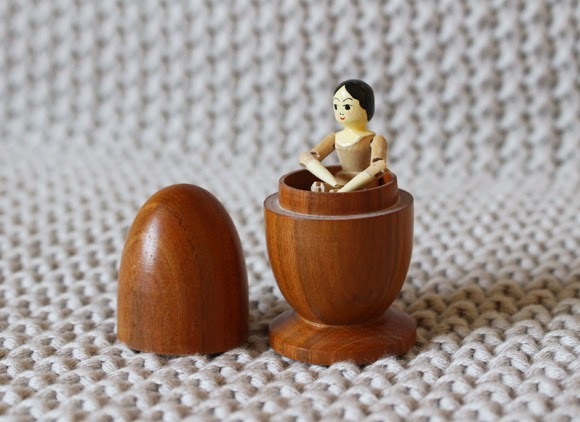 Above: The peg dolls fit perfectly inside a small acorn-shaped case. They remind me of Pinny from Pinny's House - does any one remember those books and the TV series? 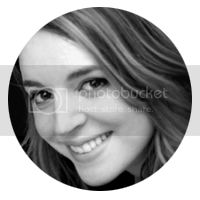 There is a blog post coming soon all about them! 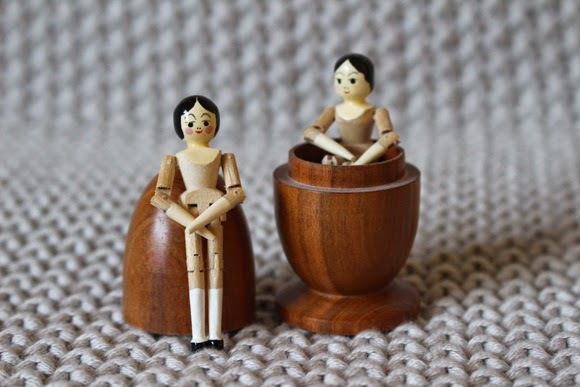 Above: The Golly features Eric Horne's branding on the sole of his feet, whilst the peg dolls feature the minute branding on the acorn they come in. 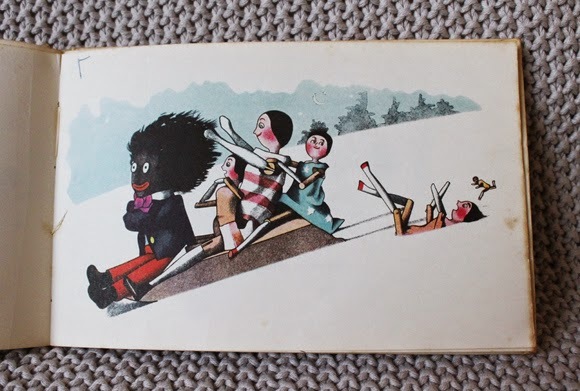 Above: An illustration from 'The Adventures of two Dutch Dolls'.